NEW YORK (WABC) -- Two women were attacked in Central Park Sunday, and police say it was by the same man. 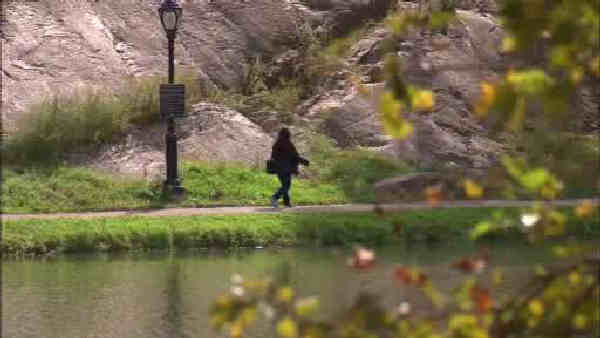 In less than five minutes and in broad daylight, a man approached two women from behind in Northern Central Park. The first incident happened slightly after noon near 110 St. and the Transverse Road #4. The man pulled a 38-year-old women to the ground. She showed him she was deaf by pulling out her hearing aids. He apologized and fled the scene. The second incident occurred five minutes later at West Drive near 106 St. The suspect came from behind and put an 80-year-old woman in a choke hold. He dragged her into the woods and grabbed her phone. He demanded her password. She refused and he punched her several times in the chest area. He then ran away, she screamed and ran to other people in the park for help. She refused medical assistance. He is described as 5"9" and 160 pounds.